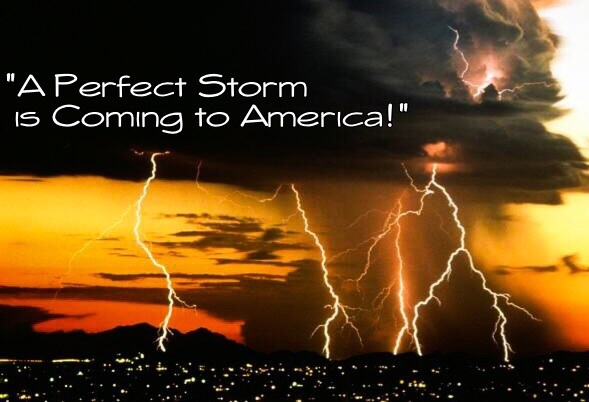 There is a “Perfect Storm” coming to our nation. The synergistic power of this storm will be generated by a multitude of unique calamities, some rooted in natural disasters and others in human behavior. The past few months this message has been burning in my heart. 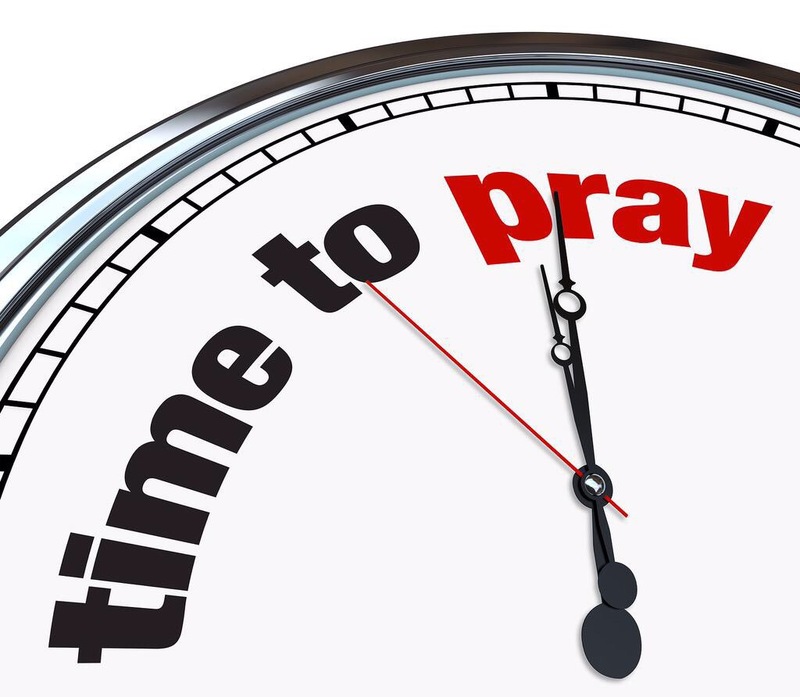 While praying and waiting upon the Lord there were two questions for which I sought confirmation: (1) is this message truly from the Lord, and (2) is this message intended for my own private direction in intercessory prayer for our nation, or is it for a public proclamation? The following message is now shared because I do believe it is consistent with what the Lord is saying, and because I do believe it is to be shared publicly. There are already many people with long, accurate track records of prophetic proclamations that are speaking out with regard to similarly worded predictions. There are others who are speaking predictions, not from the Lord, but from human nature and political aspirations. This message is not addressing the validity of any of the voices being heard on local or national platforms, nor is it a compilation of their messages, or of their accuracy. This message is singular and its validity and accuracy should be discerned on its own basis. “a detrimental or calamitous situation or event arising from the powerful combined effect of a unique set of circumstances”. America is entering a season of calamities that will impact the nation as a whole. While every state will not experience every one of the approaching unique calamities, the nation as a whole will experience the destructive synergism of this nation-sized Perfect Storm. Financial Collapse: The historically significant collapse of the value of the U.S. Dollar, both at home and abroad, will result in the U.S. Dollar losing its value as the preferred currency of international trade. Societal Collapse: Many large cities will experience areas and times of the collapse of societal constructs, most notably in the area of law and order. Public Trust Collapse: The general public’s trust of governmental authorities at the local, county, state, and especially at the federal levels will collapse to its lowest point in the nation’s history. Military Power Collapse: The international community’s respect for America’s leaders will collapse, contributing to the collapse of the U.S. military’s reputation and perceived strength in the world to such an extent that its allies will be made vulnerable to imminent threats, and enemy-states will be emboldened to expand their influence and territories due to the U.S. military’s seemingly inactive status in the international arena. Medical Services Collapse: The medical arena will be brought to the brink of total collapse due to a massive demand and drain on services, and the lack of necessary funding from both governments and patients. Divine Judgement or Divine Mercy? The primary purpose of this Perfect Storm is to serve as a wake up call to America, for us to recognize that we as a nation and we as individuals are in dire need of God in our lives. We have been enjoying the blessings of God for many generations, blessings of stability, strength, wealth, and health. No, we have not been perfect, our historical records prove it, but He has blessed us in spite of our wrong doings. But you do not realize that you are wretched, pitiful, poor, blind and naked. I counsel you to buy from Me gold refined in the fire, so you can become rich; and white clothes to wear, so you can cover your shameful nakedness; and salve to put on your eyes, so you can see. God is still in the Divine Mercy mode, He is standing at the door of our hearts, knocking loudly to awaken us. He is asking to enter into our hearts and lives again, to be welcomed and to be given the seat of honor at the banquet tables of our hearts, our minds, our lives, our churches, our businesses, our schools, our society, our governments. The Perfect Storm is not a Divine Judgement, but please do not underestimate the severity of this season where we experience life without God’s blessings. This time of awakening will be very extreme, and many will consider it to be a judgement of God. The word repent means “to change one’s mind and to change one’s actions.” When Jesus said perish it was a reference to eternity, not just this lifetime. America, the Perfect Storm is a season for awakening, for repentance: changing our thoughts, beliefs, and actions toward the Lord God of the universe. During this season, will we become a fruitful nation, fruitful in Godliness, in loving God and Loving each other?